Shyamalan once again proves he has a lot to say and no idea how to say it. Movie obsessives like me love to blame the studios and the producers for gumming up works of art. 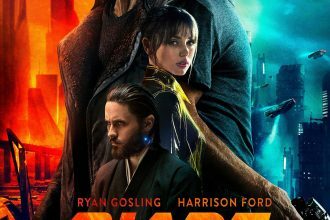 It’s the producers and studio executives who take the auteur’s vision and warp it into something commercially viable and cheap. These businessmen hacks are just wannabe movie makers with power trips. But then, of course, some movies are clearly just the rotten fruits of their demented creator’s labour. Which brings me to Glass. And M Night Shyamalan. A sequel to 2016’s Split, which unveiled in a meta-twist (and bonafide con job) that it was actually a belated sequel to 2000’s Unbreakable, Shyamalan’s latest switches focus from James McAvoy’s 23 personality’d Kevin Wendall Crumb, over to Bruce Willis’s invulnerable David Dunn. Where Split was claustrophobic and ludicrous, Glass is bloated and dumb. Let’s get into it. David Dunn, the survivor of a train crash that left him unscathed and with newly unbreakable bones, is now a vigilante. His son Joseph (Spencer Treat Clark) monitors his online presence and monikers bestowed on him by the media, names like ‘The Tip Toe Man’ and ‘The Overseer’. David Dunn skulks about in a raincoat and receives visions when he touches people, determining whether they’ve done something terrible or not. Right away, the Shyamalan-as-auteur problem clangs its way into the film via his bafflingly insipid dialogue. What self-respecting producer is still letting this guy write screenplays? His ideas are intriguing, and I’ll get into that, but his characters have only two modes: brooding silently or spewing exposition. The adults talk like kids and the kids like adults in Shyamalan’s weird world. Sole survivor of Kevin Wendall Crumb’s kidnapping in Split, Casey (Anya Taylor Joy) is shoehorned back into the movie for some reason. Shyamalan only gave Joy one characteristic the first time around—that she was abused—and here he proceeds to let a talented actress wander through a nonsensical movie with nothing to do. She’s brought into the principal’s office and told that her captor has been caught which, horrendously, sends her on a quest to show the world that the man with 23 personalities who abducted her and ate all her friends is actually, really, just a misunderstood good guy. 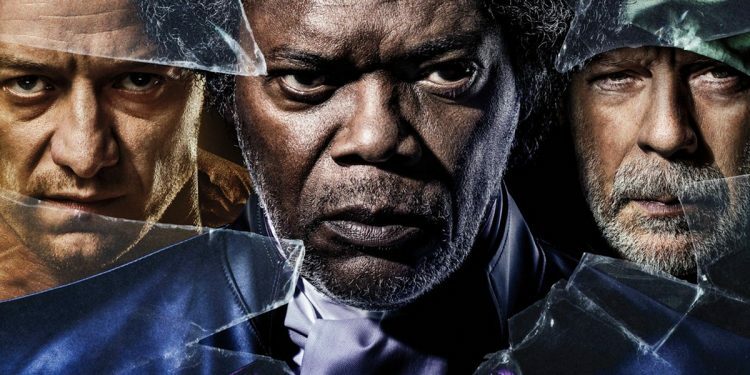 The film’s only interesting idea comes via a psychologist named Dr Ellie Staple (Sarah Paulson) who rounds up Kevin, David and Mr Glass (Samuel L Jackson), the comic-book obsessed, self-appointed supervillain from Unbreakable, and seeks to dissuade them from believing they’re superheroes. Dr Staple is a terrible character who throws out words like ‘perspicacious’, but her part of the plot is intriguing. The super trio are cordoned off in different parts of a facility and Dr Staple interviews each one of them, doing her best provide a logical reason for why these people believe they are superhuman. I like the idea of a movie concerned with breaking down the egos of superheroes and supervillains, but Shyamalan likes it too much. He sits them all next to each other in one room while Dr Staple lobs questions at them like she’s conducting some kind of interrogative group therapy competition. It’s just so needlessly stupid. Paulson doesn’t do much with her character, but one could hardly blame her. She has to convincingly refer to comic book conventions as emblematic of a dangerous fanaticism, while providing no convincing arguments for her hatred of the form. Anya Taylor Joy does little more than smile and squint, but Willis is the biggest offender of them all. I didn’t like Unbreakable and I’m sick to death of The Sixth Sense, but Shyamalan did manage to draw on the action star’s surprising sensitive side, a kind of softly spoken inner pain that showed a man unwilling to be stereotypically masculine. Here, Willis barely makes a facial expression. I’ve hardly seen an actor so unconcerned with what his performance will look like. Paired with McAvoy’s entertaining, bouncing off the walls, accent-switching insanity, it’s less odd couple and more, well, odd. Everything culminates in a brawl at the end outside the facility, in which David Dunn shoves people against things and Kevin pounces along like a cheater. Whatever’s there of substance is buried under so much unrestrained madness and misguidance that it makes me question the whole practice of a director seeing their vision realised on the screen.